After graduating BBHS, Fuks went on to study at the Faculty of Medicine at McGill University where he obtained his M.D.,C.M. in 1970. Following training in internal medicine and clinical immunology in the McGill teaching hospital network, he proceeded to a three year period of postdoctoral training at Harvard University in the fields of immunogenetics and histocompatibility antigens. He received his initial faculty position at McGill in 1978. His research interests have included the immunogenetics of diabetes, the biology of tumour-associated antigens and cell adhesion molecules, and ethical aspects of the design of trials involving human subjects. He was Chairman of the Institutional Review Board at McGill for a number of years and has also had experience teaching immunology, molecular aspects of malignancy, research ethics and clinical reasoning. He has an ongoing scholarly interest in the language of medicine and its metaphoric structure. 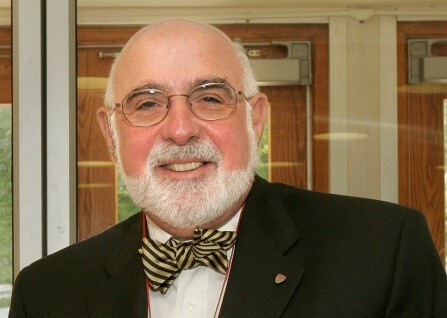 Dr. Fuks served as Dean of the Faculty of Medicine at McGill from 1995 to 2006. He was a Visiting Professor in the Department of Social Medicine at Harvard University in 2007-2008 and is currently a Professor in the Departments of Medicine, Pathology and Oncology at McGill. He has experience as a health care provider, having worked as a clinical immunologist in the McGill hospital system, and a consultant at three teaching hospitals. Dr. Fuks has developed a new research interest in patient-physician narratives following his scholarly work in research ethics and his experience in curricular development at the Faculty of Medicine at McGill University. He has served as Chair of the Advisory Committee on Research of the National Cancer Institute of Canada and Chair of the Committee on Accreditation of Canadian Medical Schools. He was a member of several committees including the Alberta Cancer Board Scientific Advisory Committee, the Scientific Advisory Committee of the Alberta Heritage Foundation, three hospital boards in Montreal and most recently the LCME, the analogous body in the United States. He was also the President of the Association of Canadian Medical Colleges.